Posted on March 4, 2015 by Ronald Patrick Raab, C.S.C. Today, Fr. Theodore Hesburgh, CSC will be laid to rest in our cemetery at the University of Notre Dame. A simple stone cross will mark his grave, the same kind of cross that marks the graves of generations of Holy Cross priests. 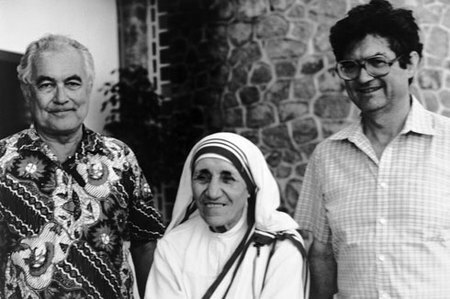 His mission was broader than the Church, yet his goal was to become and remain a priest. Even now he calls us to remain faithful to loving and serving those who most need us. “All human beings are our brothers and sisters, all are our neighbors especially when in need. It matters not whether they are black or white, red or yellow, men or women, Eastern or Western, Northern or Southern, young or old, intelligent or dull, good or bad, attractive or repulsive. I believe that since we are all created in the image of God, I cannot love God without loving and serving them as best I can.” —Rev. 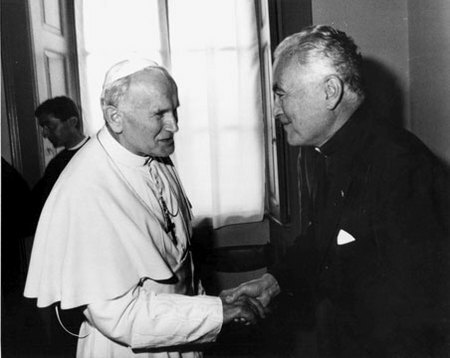 Theodore Hesburgh, C.S.C. God bless Fr. Ted, and Holy Cross! As I watch the funeral streaming on the internet, my thoughts and prayers are with the whole Holy Cross Community. Fr. Ted had a long, full life, and we are all the richer spiritually for his presence. God bless you, Ron.